First prize 53rd. Clarence River Arts Festival “All Fo rms of Craft” 2018. Painted, waxed and rubbed hardwood Ironbark slice. Suitable as a wall art piece. 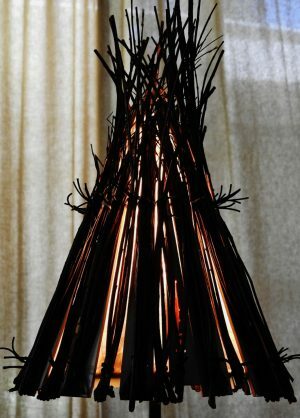 Lacquered Ricepaper, wood and Jacarandah Stalk Light on a metal base. 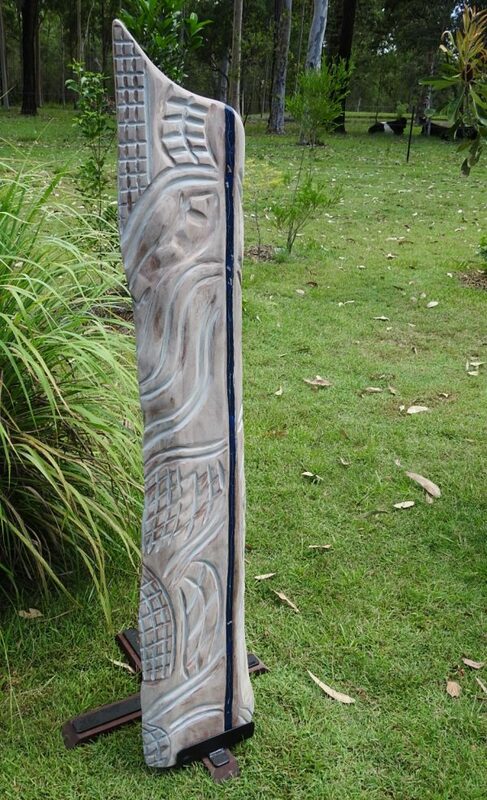 Hand carved Banksia wood, painted and rubbed with tinted resin feature. Available from the Yamba Art Space.